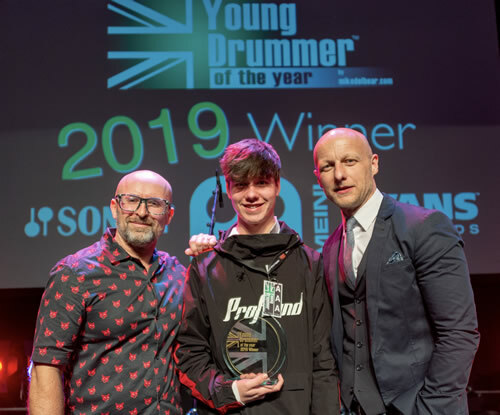 Congratulations to this year’s winner – 16 year old Nathan Shingler. Mike would personally like to thank this years sponsors, Sonor Drums, Meinl cymbals and Evans drumheads. Thanks also to all the companies for supplying goodies for the 10 finalists: Sonor drums, Meinl cymbals, Evans drumheads, Vic firth, Pro Mark, The Dube and UK drum show. Thanks to the judges and helpers who gave up their time, everyone at the Artrix theatre, all 10 finalists (who were excellent and were all winners) and finally the parents, friends and everyone else who came along to support the event, which is now in it’s 18th year.